Particularly the colby flavored Cheez-its. 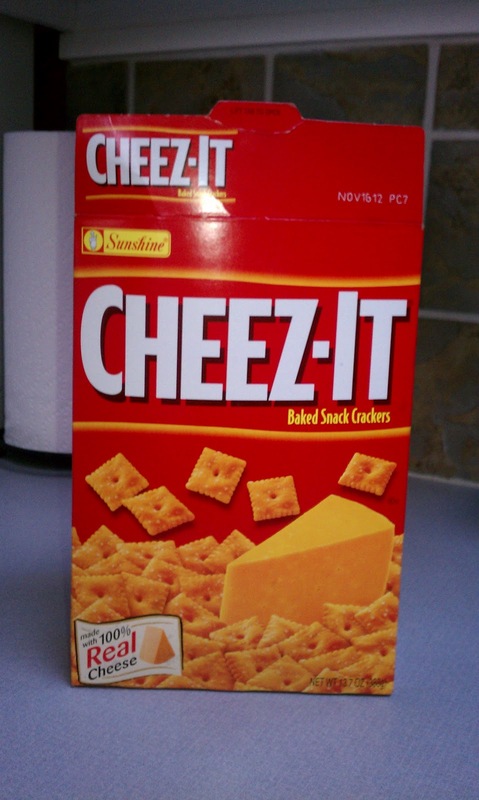 last week i bought them and with a very small amount of help from the wee Babs – meaning it was mostly me eating them – i ate the entire box of colby cheez-its in less than 24 hours. seriously. this is a problem. it’s best i don’t have them in the house. at all. actually, she was forced to give it up when we lost the last one she had. you can read more about that here. but now she has a new addiction. it’s called driving me crazy. seriously. i’m concerned about this addiction. it’s been exactly one month since she stopped using her plug. 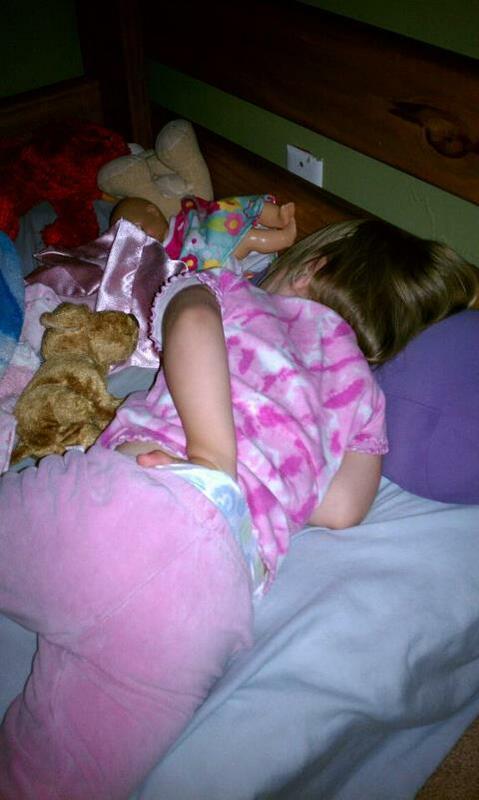 she asked for her binky every day and night for over three weeks. she finally stopped asking for it a few days ago. still she screams and cries every night before falling asleep. she will not fall asleep without me or P.A. at the end of her bed. we know it’s just a phase. it won’t last forever. she won’t ask us to hold her at night time when she’s 22 years old. it’s just a 2 year old “season” she is in. the first week without her plug, i expected things to be tough. however, i did not expect that the weeks to follow would be even rougher. but they were. she woke up screaming one night, complaining of pain in her ear. and it finally dawned on me that she had an ear infection. i thought, oh that’s why she’s been so crazy lately. when i took her to the doctor, i said “please tell me she has an ear infection!” typically i don’t get overly excited about visiting the pediatrician. do you? but this day was different. i was hopefully anticipating the doctor to tell me something was wrong with my child. it would explain so much. everyday she is still finding ways to drive me crazy in creative ways. she is over her ear infection. she is over the binky. but she is not over herself. she wants control. she is exceptionally strong willed and extremely stubborn… and so. stinkin’. cute. the one night she fell asleep on her own in the last month, we found her like this. hilarious. i don’t get the preoccupation she had with this blasted piece of plastic. i also don’t understand why she insists on watching Salem poop. i do understand our need as human beings to try and control things. Selah had control. of her binky. and now it’s gone. she tries to control other things in our home. but in the end, mom wins. we have our hands full. 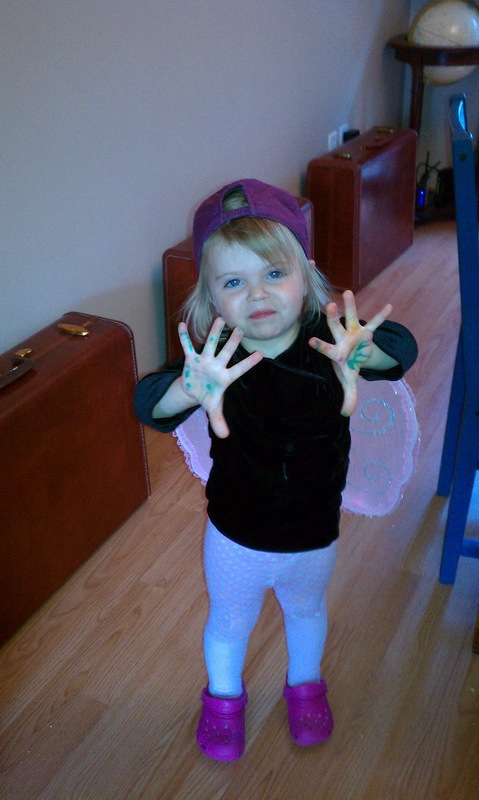 this child is somethin’ else. and all of this. control. addictions. these are lessons we teach now to our almost 2.5 year old so that she is able to surrender her control issues to God as she grows up. when i think about our wee babs becoming teen and adult babs, it freaks me out a little. there are much more dangerous addictions they can attach to as they grow up. as difficult as it might be, we can not control what they choose as adults. But what we can do is teach, train, guide and pray. pray. pray. i can become so pissed about other addictions. who really cares about a stupid silly ol’ addiction to cheez-it’s or a binky piece of plastic, when there are REAL addictions and REAL people who have them, who need flippin’ FREEDOM! We need to PRAY for one another! it’s our will against God’s. it’s our humanity against spirit-led living. it’s control verses surrender. surrendering our plugs, our addictions, large or small, to God. Preach. Push. Stop. Diffuse. Deliver.